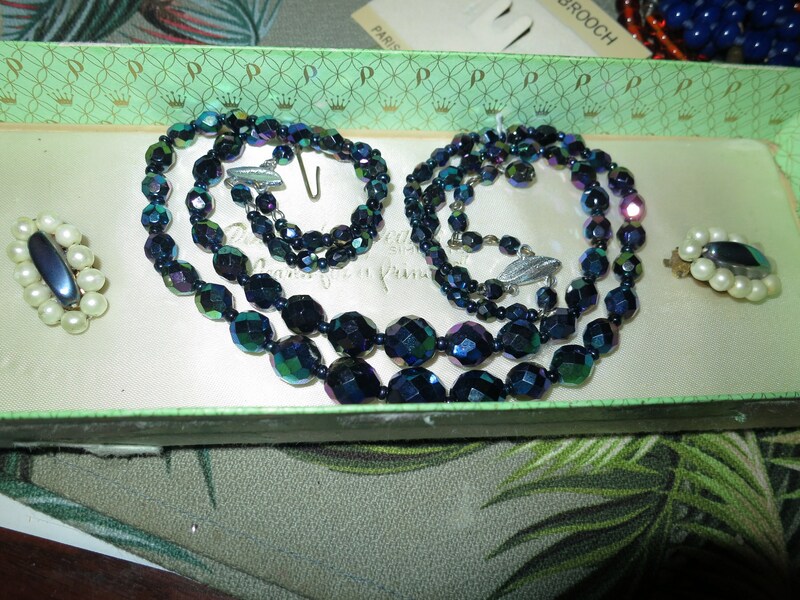 Here is a beautiful vintage costume jewelry necklace and pair of similar clip on earrings as shown in picture. 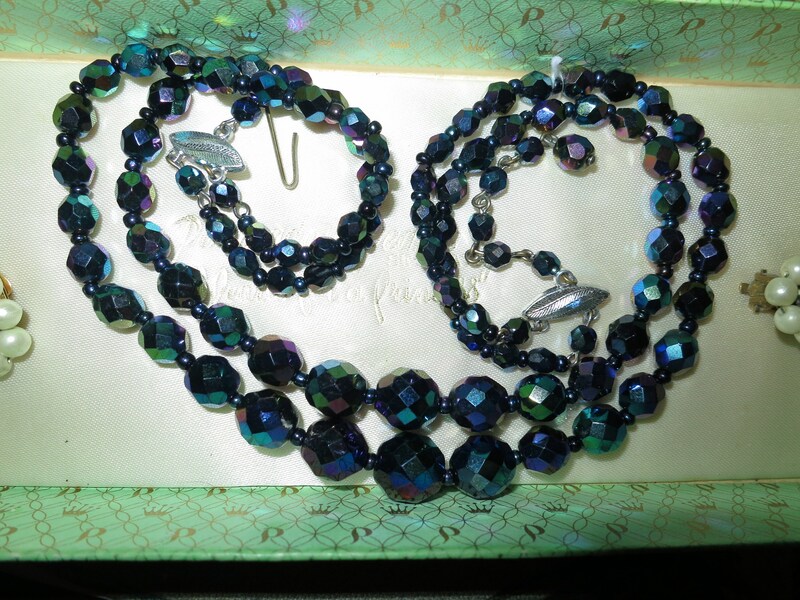 Necklace 2 strand with faceted AB cobalt blue glass beads. Necklace 18 inches. Overall in nice and clean vintage condition, as shown. Catches / pins in working order.